Jeff Chang and business partner Howie Merrill are dads who wanted a better bidding and checkout experience at their children's school fundraisers. After waiting and hour and a half to leave one event, they set out to solve this problem by building the simplest and most affordable platform for smaller organizations to succeed. If you're going paperless, cut your ties to paper bidding completely. Keeping both paper and mobile bidding results in twice the work. Pre-register bidders before the event if possible (i.e. at school drop-offs and pick-ups), and make sure your software allows self-registration. Letting bidders register themselves during cocktail hours or once ready to place first bid removes the need to get in line to register. Door prizes for pre-registration can increase participation. Don't close auction too early. Perhaps try closing your silent auction after the live auction; software can allow you to keep window of bidding open longer because checkout will not require as much time. Market items prior to auction start. Promote by email, Facebook, Instagram, and other channels available to you. Introduce items throughout the week before, in waves of new items. Advertise live auction items through catalog to build buzz without allowing bidding. Cause4Auction is available internationally. 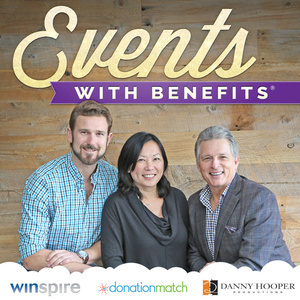 Use promo code "eventswithbenefits" for $25 OFF the signup fee!